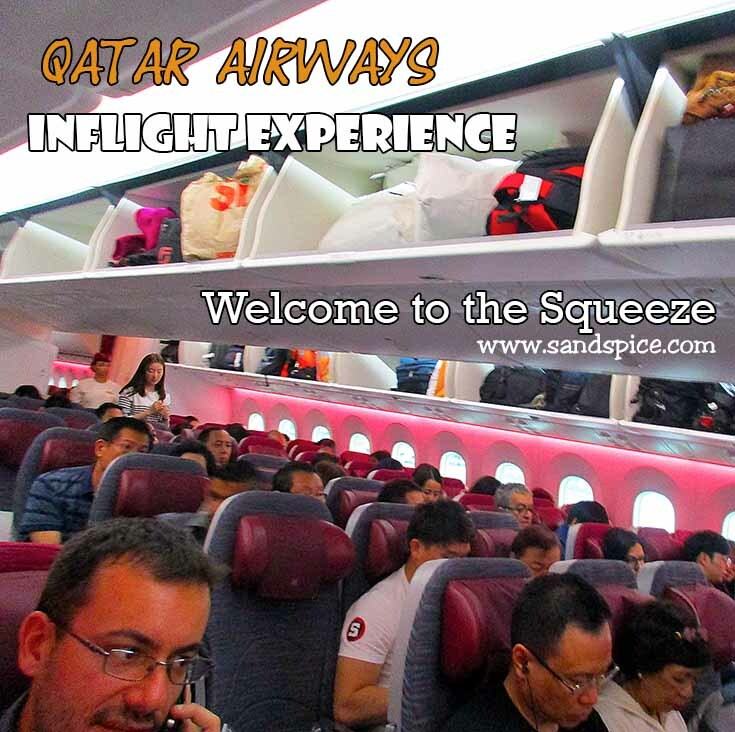 Our Qatar Airways inflight experience wasn't quite what we expected. With their elitist tv commercials and tip-top rating in the World’s Best Airlines, we were expecting great things from our Qatar Airways inflight experience. 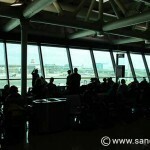 This is why we snatched up the opportunity to fly with them from Rome to Jakarta for around €500 per person, economy class. 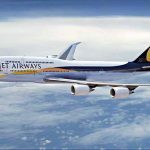 We could have chosen cheaper flights with other airlines, but we thought it would be worth paying the extra just to savour the inflight experience of an airline which is regarded as one of the best in the world. 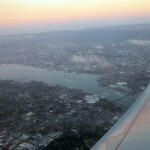 Our return flight to Jakarta comprised 4 flight legs, stopping in Doha on both outbound and inbound flights. The first leg from Rome to Doha took around 5 hours, and was something of an eye-opener. Fairly cramped seating and distinctly average food and beverages made the flight quite unremarkable. This was the first long-haul flight we have taken where the red wine was served into plastic cups from an open bottle on the trolley. Forget individual small wine bottles and spirit miniatures. A 10-hour layover in Doha, with nothing offered to ease the discomfort, did little to improve our impressions. 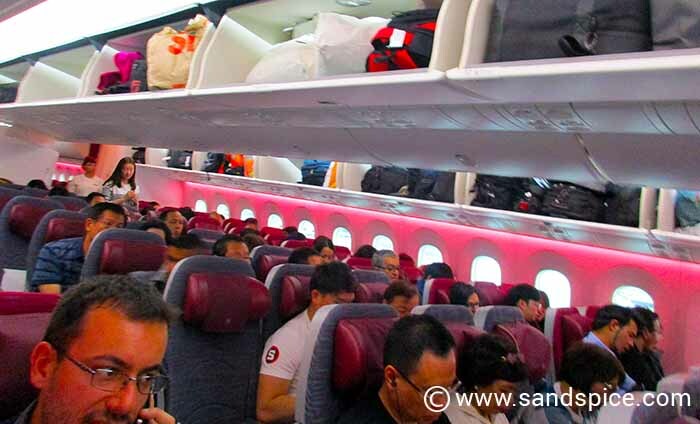 The 8-hour onward flight from Doha to Jakarta provided us with more of the same mediocre service, leaving us jaded and somewhat disappointed by the time we arrived at our destination. These are perhaps some of the reasons why Qatar is dropping in the ratings. Yes, each seat has its own USB charger, and there is free Wifi during the flight, but these are services that are now being offered by more and more airlines. 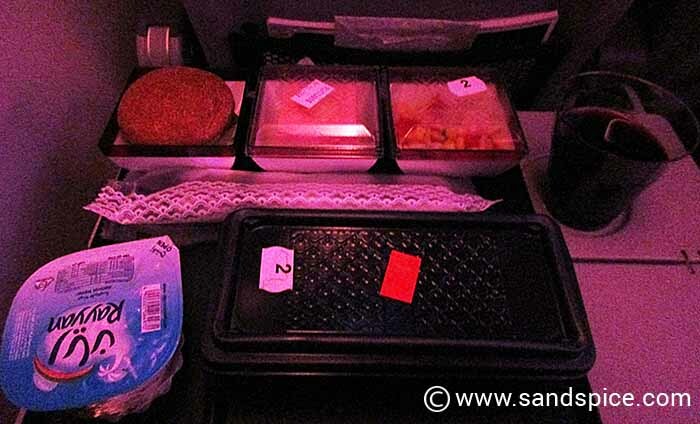 We’ve had better inflight experiences on KLM and Emirates, and even on Turkish Airways. On our return flight, we were packed uncomfortably in the central seating section, with the same minimal food and beverage offerings. 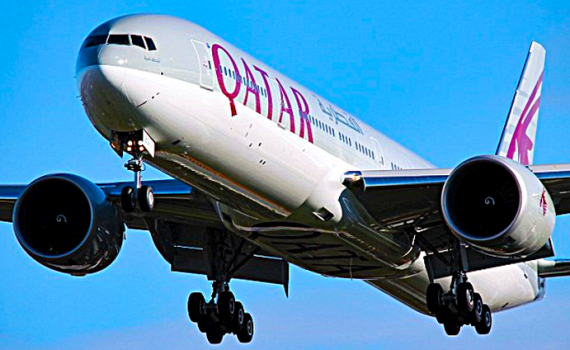 With an increasingly competitive market for flight tickets, in our opinion Qatar Airways inflight services do not merit their premium costs and inflated reputation.